Shimizu Sensei died in 1978 without naming a successor. Many of his students around the Tôkyô district carried on the art as he had taught them. Kaminoda Sensei continued to teach in a dôjô very close to Shimizu Sensei’s house, in the Shibuya area, as well as at the Dai-Yon Kidôtai in Yotsuya. Yoneno Sensei and Hiroi Sensei continued to give impressive demonstrations together, Kuroda Sensei passed away in January 2000, Otofuji Sensei passed away in 1999. Nishioka Sensei created a group of some 15 to 20 students in Hinô, at the Mitsuyama Dôjô, then another one near Kamakura, and two others in the center of Tokyo and near his house in Fuchu-Shi. Meanwhile, in Kyûshû, other senior students are also teaching. 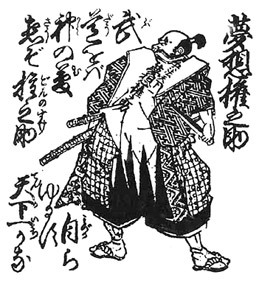 Nishioka Sensei created a group named Seiryukai. The EJF then created a group called Seiryukai Europe. This group gathers the seniors European students of SMR having obtained classical certificates (Oku iri, Sho/Gomokuroku, and Menkyo kaiden) and is considered as the European branch of Seiryukai. Currently (2013) most of these masters do not participate physically in the training sessions any more, due to their old age. But they are still heading their groups and keep contact with their students in charge of continuing their mission.